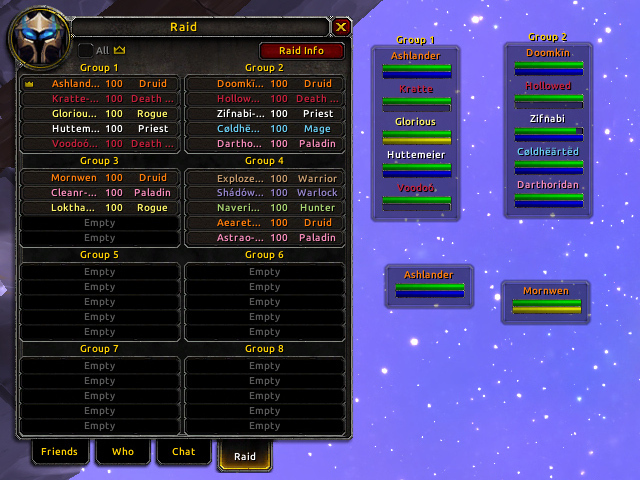 OldRaidFrames re-enables the ancient default UI's raid frames one could create by dragging group labels or player names from the Raid List (accessible from the Raid Tab of the Social Panel, see the screenshot). Mostly for nostalgia's sake. I was delving through the WoW UI code and noticed that the old raid frames are still there; only some key function calls are removed or commented out. So I decided to write a small AddOn that allows creating those raid frames again.